Bill Peet was born on January 29, 1915 in Indiana. He lived out in the country and liked exploring nature with his brother. He had a dog named Torch. 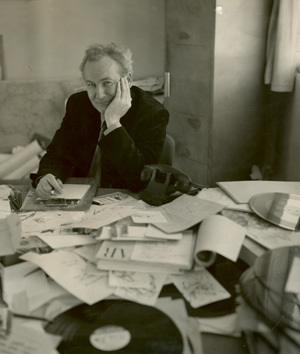 He loved to draw and would draw things like animals, trains, fire engines, airplanes, and more. He would even draw in school when he should have been listening to the teacher! In 1933, Bill Peet was given a scholarship to go to John Herron Art School. After graduating from art school, Bill Peet learned that Walt Disney was looking for artists to work on animated movies. 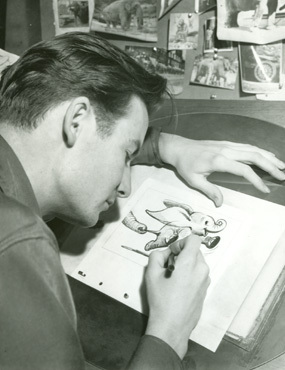 Bill Peet began working for Walt Disney in 1937, but he worked as "in betweener," which meant he basically copied and traced other animator's work with small changes. Eventually, Bill Peet started doing more artwork for Disney and became on of Disney’s best storymen. Download the document and use this website to answer the questions. To find out more information about Bill Peet you can visit his website.